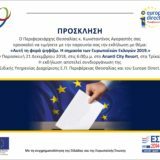 The European Commission, through its Delegation in Greece, completed the process of selection that will host the "European Information Centers", as known, in Greece for the period 2018-2020 approving the proposal submitted by the Thessaly Region through the Regional Development Fund of Thessaly. The new European centers EUROPE DIRECT Information selected based on strict specifications and rules of the call imposed by the European Commission in all Member - States. In Greece the European Information Center EUROPE DIRECT numbered in 17 while in all EU Member States 450. The centers focus on key issues in European Union policies of direct interest for European citizens, especially at local and regional level. 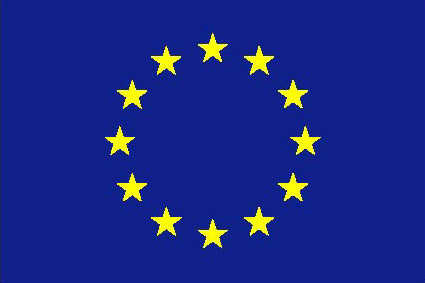 These centers are one of the main tools of the European Union (EU) to inform European citizens about the EU and its priorities, enabling all citizens to obtain information, advice and answers to questions about the institutions, legislation, the EU policies and programs, and the possibilities for Community financing. 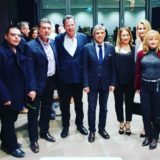 As in other Member States, so in Greece, centers complement and support the European Commission Representation communication activities, the European Parliament Information Office (EPIO) and other institutions and EU agencies at the local and / or regional level. Also, cooperate with other information networks and EU assistance. 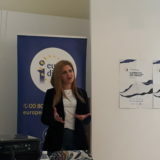 Especially in our region in Thessaly European Information Center for the period 2018-2020 amongst others will focus through a series of actions planned in all counties, Thessalians to inform citizens in areas such as the upcoming European elections 2019, to protect citizens against false news (fake news) and their misinformation online, the protection of personal data of internet users, protect the environment by reducing non-use plastic items, in Erasmus +, immigration, Digital certification system studies etc.. 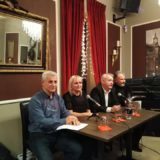 The aim is to understand the last citizen everywhere in Thessaly benefits is to provide a stay at the chariot of the European family. For the European Thessaly Thessaly Information Center located in the building of Thessaly in Larissa (Koumoundourou and Papanastasiou) at the office 312 A wing of, with opening hours every day from 09:00 until 14:00. To contact the call center 2413-506312, fax at 2410-554368 and by mail at europedirect@thessaly.gov.gr . 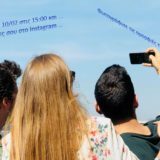 Also, for information on issues relating to Europe but also to the information measures carried out by the Center's website www.edicthessaly.gr and the center's Facebook page: Europe Direct Larissa and Instagram: edicLarissa.